The short, sharp burst of boos from the travelling support which immediately greeted the full-time whistle would tell you that a 0-0 draw away to Dunfermline was not the result Dundee United fans were looking for following last weekend’s horrendous 6-1 loss in Falkirk. The East End Park stalemate, somewhat fortuitous from a United point of view given some of the chances missed by the home side in the second half, leaves them eight points adrift of St Mirren at the top of the Ladbrokes Championship. With the league leaders still to come to Tannadice, and United holding a game in hand, it would be premature to declare this battle as already over. However, the worrying form of the last four games, where only bottom side Brechin have been vanquished by Csaba Laszlo’s men, would suggest few of the grumpy visitors leaving Fife will feel any better about their club’s chances after the initial displeasure has settled. “I’m not happy, but I’m also not unhappy. Overall, I thought a draw was a fair result,” said the United boss. “Playing the team in third, especially after last week’s result, I thought it was very important that we showed character and didn’t lose the game. At the very least, the result extended an unbeaten run from the away side over yesterday’s hosts to 13 games, a stretch that runs back to 2011 when both were still in the top flight. 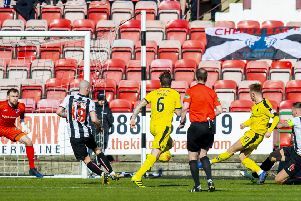 Dunfermline started brightly with Declan McManus a thorn in the visitors’ side. Just 30 seconds in, the striker sent a shot over the bar from the edge of the penalty area after the first of many hairy moments in the United rearguard. The striker then tested goalkeeper Harry Lewis with a header, only to be ruled offside, before he looked to capitalise on more slack defensive play by cutting inside and seeing his goalbound shot blocked by the head of Mark Durnan. United threatened for the first time on 13 minutes when Paul McMullan tested the handling abilities of Lee Robinson with a stinging shot from an angle. And that was about it for the rest of the half. 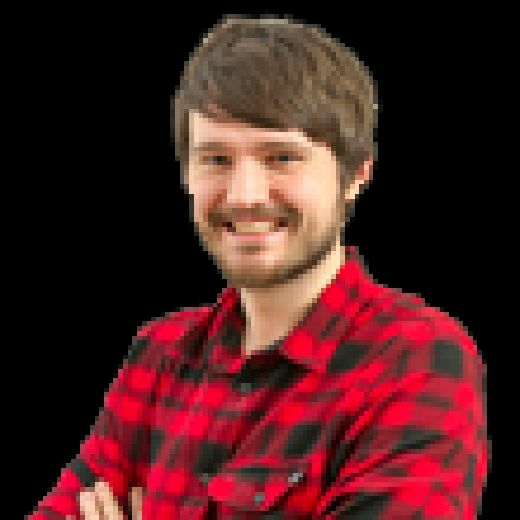 Recent signing Emil Lyng was able to get in behind Dunfermline centre-back Jean-Yves M’voto, but the lumbering centre forward was caught before he could get his shot away. While the second period didn’t improve much in terms of quality, there was at least a sense of urgency to proceedings with both teams eager for the three points. The away side were the first to threaten, with Sam Stanton sending a shot into orbit from 20 yards out, before Willo Flood flashed a low drive across the face of the goalkeeper with no takers in sight. Dunfermline then forced two opportunities in the space of a minute right on the hour-mark. First Michael Paton cut inside from the right and curled an ambitious effort just over the bar at the far post. Then, immediately from the goalkeeper’s restart, M’voto powered a headed clearance with so much force it sent McManus through on goal. The striker’s low flick was partially saved by the legs of Lewis before United were able to scramble the ball clear. McMullan was forced into shooting straight at Robinson from a tight angle when, after being played through on the wing by Billy King, he found no support in the centre. Five minutes later Lyng nodded a free header over from eight yards after a delivery from Flood. At the other end, Lewis had to show off his reflexes to deny McManus yet again by pushing a header over the crossbar. The home side almost snatched victory four minutes into stoppage time when McManus wriggled a yard of space inside the penalty area and cracked his finish off the outside of the post with Lewis stranded. “Second half we were the team on the ascendancy, we created the chances and we were the team unlucky to win the game,” insisted Pars boss Allan Johnston. “Declan has been really unlucky, the keeper’s made a few good saves, but the most important thing is the positions he’s getting himself into.